With the ink barely dry on Wednesday’s agreement for the final draft of Article 13, the EU Commission published an eyebrow-raising piece Thursday. While much of it is implied, the Commission suggests that the millions of people who opposed Article 13 have been misled and are therefore poorly informed. This Wednesday the European Parliament and European Council agreed on the final text of the EU Copyright Directive. That, of course, includes the hugely controversial Article 13, which critics insist will lead to upload filtering, censorship, plus all kinds of unintended consequences that could change the shape of the Internet forever. Urgent claims have been made on both sides, including that the music industry could be brought to its knees if Article 13 doesn’t pass, and the Internet will break if the worst fears of the legislation come true. In the end and as predicted by many, it appears that the EU Commission sided with those claiming the former. A bigger surprise came from the EU Commission itself when it waded in Thursday with a stinging article of its own, one which implies that the millions who objected against Article 13 were misled and therefore misinformed. It was also a surprise to see the Commission itself suggest that “paid-for campaigns” were at least partly to blame. It has to be stressed that the Commission piece seems intentionally loose at times, perhaps to avoid direct accusations towards any particular company. However, when it begins by stating that searches for the ‘EU Copyright Directive’ on YouTube renders results that are mostly “passionately against it”, the tone is well and truly set. Pointing out headlines such as ‘Today Europe lost the Internet’, ‘How the new copyright laws will destroy the internet’, and ‘Censorship machines’, the Commission says that the campaign against Article 13 is being driven by “catchy slogans”, not the truth. It even manages to squeeze in what appears to be a reference to the UK’s decision to leave the EU. “Of course, we know from recent elections and referendums that simple memorable slogans — however untrue or unobtainable — can go a long way to winning over hearts, minds and voters. 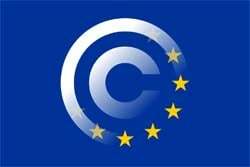 And so it was, that the wholly inaccurate phrases ‘link taxes’ and ‘censorship machines’ started to be part of the campaign against the proposed Copyright Directive,” the Commission writes. What follows is a familiar outline of why the Commission feels that Article 13 is needed, arguing that big tech companies such as Google/YouTube and Facebook shouldn’t be allowed to make money by placing ads against infringing content on their platforms. It then steps in to discredit the ‘meme ban’. Then, however, things begin to get a little more gritty. The underlying tone from the EU Commission is that meddling by tech giants led to members of the public being misled, stirred up, and forced into opposition over Article 13, but not based on the true facts. “So next time, when you get a sponsored message on your timeline, which says something like ‘the EU will kill the world wide web as we know it’, stop, pause and consider for a moment. Ask yourself: Cui Bono? Who really benefits from this message or this wider negative campaign?” the Commission adds. These comments are probably a little insulting to the people who have followed this from the beginning and have formed their own opinions based on solid research and facts as written in EU documentation. However, the EU Commission seems to believe that the majority have simply acted like sheep, herded up by US tech giants. “Do Google, Facebook or others really need to pay to persuade? Are we in a world where ordinary people side with the fire breathing dragon against the knight with a blue and yellow shield?” it asks. Some supporters of Article 13 are already celebrating the EU Commission’s piece as validation of their theories that this wasn’t a fair fight, that tech companies did indeed unfairly meddle in the process that led up to Wednesday’s agreement. The problem, however, is that this isn’t over yet, and the suggestion that people who opposed Article 13 are poorly informed may only serve to pour yet more fuel on the fire by infuriating everyone, informed or otherwise. Whether one agrees or disagrees with the Commission’s assertions, it might have been prudent to keep these opinions behind closed doors, at least until this is all over. The timing doesn’t seem great but pretty much nothing about this entire campaign has been.